Spirit and matter are the two names of life. The primal aspect of life developing into denseness remains spirit, and its development into dense form is called matter. It is like water turning into snow, it is liquid, but it develops into a harder substance, it loses its fineness. There is a conflict between spirit and matter. The matter absorbs the spirit in order to exist, and the spirit assimilates matter, for it is its own property. The whole of manifestation may thus be regarded as continual conflict between spirit and matter; the spirit developing into matter on the one hand and spirit assimilating matter on the other; the former being called activity and the latter silence, or construction and destruction, or life and death. 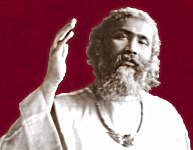 When one realizes that the source of both spirit and matter is life, then one will see that there is no such thing as death; but this one can only recognize when knows the distinction between the life which may be called the source and the life which is momentary, the life which matter shows by absorbing spirit. Vacuum or space consumes substance; and when substance absorbs life from space, the space opens up within the substance. For instance, trees and plants absorb more from space than do rocks, and animals absorb still more from space than do trees and plants. Man absorbs the most spirit from space, and therefore man represents both matter and spirit in himself. What is absorbed from space has the effect upon that which absorbs it of opening it up and of forming a vacuum. That is why the stone, which has very little vacuum in it, appears to be lifeless. Plant life shows some sign of life because it absorbs more from space. In the atoms of a plant life there is an opening, for by absorbing all that it can absorb from space the plant opens with in itself space to accommodate also the spirit that it absorbs. We see further development of the same phenomenon in animal life, which, through breathing, absorbs more of the spirit which is in space and therefore becomes more intelligent. This shows that although intelligence manifests through living beings, yet it is absorbed from space. We only know intelligence as something that belongs to man, to the mind or to the heart; but whence is intelligence attracted? It is attracted from space. We recognize intelligence in its manifestation but we do not know it in its essence. In its essence it is all-pervading, and that is why philosophically minded people have called God omniscient. All that is constructed is subject to destruction; all that is composed must be decomposed; all that is formed must be destroyed; that which has birth has death. But all this belongs to matter; the spirit which is absorbed by this formation of matter or by its mechanism lives, for spirit cannot die. What we call life is an absorption of spirit from matter. As long as the matter is strong and energetic enough to absorb life or spirit from space, it continues to live and move and to be in good condition. When it has lost it grip on the spirit, when it cannot absorb the spirit as it ought to, then it cannot live, for the substance of matter is spirit. The Bible says,' It is the spirit that qickeneth, the flesh profiteth nothing'. But, one will say, 'does not dense matter depend for its maintenance upon dense food?' Yes, but at the same time the appetite is not satisfied by eating stones. Man eats vegetables or animal food because he not only gets a substance from it, but also the spirit that it has absorbed. In other words, even in eating dense food one is absorbing spirit from space. Some people will call spirit energy, or a scientist the name of some form or force, but it is never called a person or a being. Then what is it that makes us call God spirit, or why do we call that which is really spirit God? If it is the very same spirit that we breathe from space that makes man an intelligent being, capable of thinking and feeling, the same spirit that gives him the power of perception and conception and develops in him that feeling which one calls ego, 'I'. If this is phenomenon that the spirit shows by being absorbed by the material body, how much more capable of perception and conception, of thought and feeling, must the spirit be in itself! Only because we are limited, by our physical frame, we are not able to experience fully its perfect life and its perfect personality. Where there is a hole this hole has a tendency to become larger, and where there is a little substance that substance has a tendency to increase. This shows the tendency of spirit and matter, the continual conflict that exists between spirit and matter. On the part of matter there is always the tendency to absorb, on the part of spirit there is always the tendency to assimilate. Mortality, therefore, belongs to substance not to spirit; immortality belongs to spirit. What is it that makes man spiritual? Spirit-consciousness. If a person is not conscious of what he absorbs, he is not conscious of that which makes him more then the dense part of his being. It is not the dense substance that forms his body that makes him capable of thinking, that gives him the faculty of feeling, of experiencing, of knowing; it is spirit which this dense substance has absorbed. And if one asks whether this spirit which belongs to man, which may be called an individual spirit, is to be found within or without, the answer is: that man himself is the individual spirit. The body is something, which the spirit has taken for its use. Therefore just as man is dependent on his vehicle, which one calls the body, for experiencing the outer life, to the same extent or even more is he independent of the outer body in order to exist forever. The dependence of man and the independence of man depends upon that which he wishes to experience. If he wishes to experience the dense earth, he depends upon the dense body. If he wishes to experience the life of the spirit, he need not depend upon anything. The spirit is living; the spirit is life itself; it only depends upon matter for its experience and not for its life. The spirit itself is life, though a life which different from the life we generally recognize as such. What we call living is the matter which has absorbed spirit; and what we call life is that which is moving and acting through that which we call spirit. In reality life is that which matter has absorbed; life passes away from matter and yet remains; life cannot be destroyed. It is in the understanding of this that lies the secret of immortality.